We craft sensory experiences that bring people together; ones that helps guests feel like they’re part of something special. When Imogen Bailey quit London for a lovely village on the French Riviera she was struck by the beauty of the landscape, floral diversity and places to discover within her newly adopted home. Imogen has since developed her thriving event design & styling studio to share her discoveries with others. 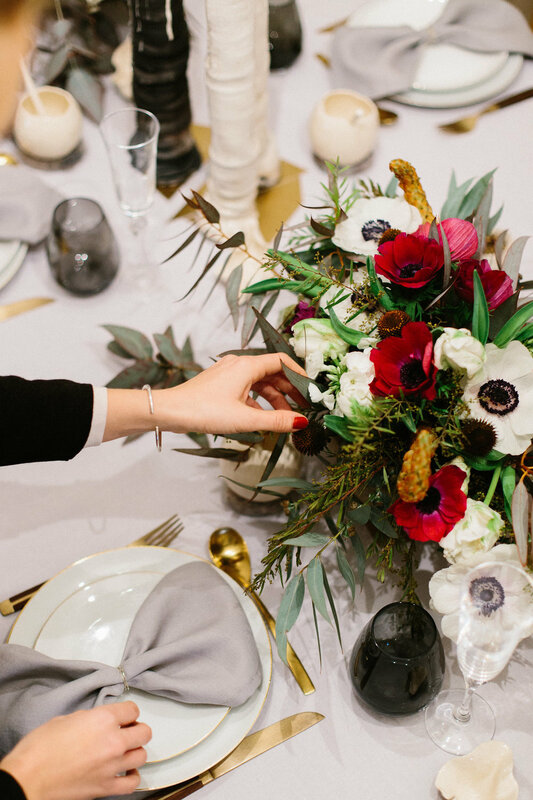 Our handmade touches, sublime colour palettes and contemporary styling are what make our events truly special. From intimate dinner parties and weddings to birthday celebrations, we design unforgettable events in the South of France. We take on a limited number of bespoke events each year, ensuring that your event will have our undivided love and attention. We offer a bespoke design consultation service. From this in-depth consultation we create a beautiful design proposal and the guidance for you to confidently put together your beautiful day yourself. If you’re a wedding planner, event designer or photographer. Join our masterclasses and mentoring programme where you will learn how to organise styled shoots and grow your business. We have crafted sensory experiences for Pinterest, taken people on edible adventures through our fine dining events. We’re excited about helping you create your very special celebration or designing your wedding in the South of France. Keep in touch with us on Instagram!